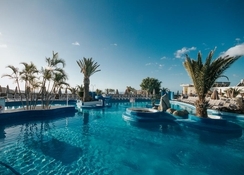 The Servatur Puerto Azul Hotel is situated between Puerto Rico Gran Canaria and Playa de Amadores and offers a taste of paradise in the Canary Islands. 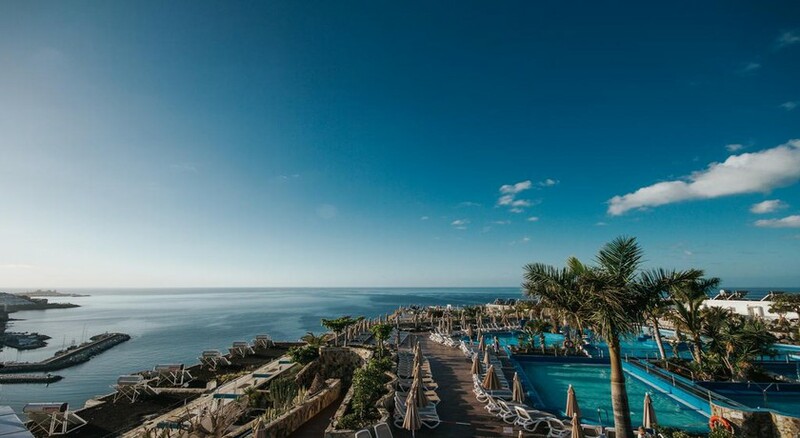 This spacious hotel is spread across 40,000 square meters and located right in front of the inviting Atlantic Ocean, offering a comfortable and private space for guests to relax in with stunning views to match. 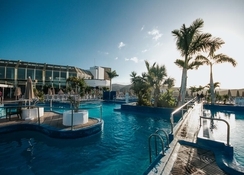 Hotel Servatur re-opened in 2009 after adding two new facilities - a Jacuzzi and relaxation area for adults, plus two playgrounds for children – and is regarded as one of the best hotels in Puerto Rico Gran Canaria. It’s ritzy apartments and cavernous bungalows are suitable for couples, families and single visitors, and the hotel restaurant serves quality Canarian style cuisine to guests every day. Hotel Servatur Puerto Azul is set in a spectacular location, rising halfway up the valley of Puerto Rico, offering great views of the town to guests relaxing on the hotel’s scenic terraces. 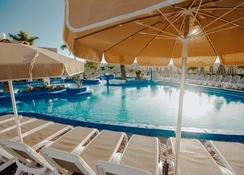 The Servatur Puerto Azul Hotel is situated near two beaches, Amadores (1km) and Gran Canaria Puerto Rico (1.5km). There are various types of watersports on offer including windsurfing, jet skis, fishing and sailing, all within 400m of the hotel. Plus, there are four fantastic golf courses near the complex, if you want to take a shot at this sport. The Gran Canaria Airport is about 50km away from the hotel. Servatur Puerto Azul features 351 well-equipped apartments, offering special comfort to its guests. The apartments are categorized as Junior Suite, Double Room and One-Bedroom apartment. 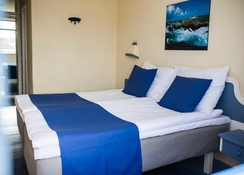 All the rooms have necessary amenities including a TV, DVD, coffee machine, hairdryer, toaster and safe. Guests are offered on-site food and drinks, which are included in the room price. There are two all-inclusive restaurants at the hotel - The Sunrise Restaurant is a contemporary and cosy buffet restaurant with splendid views of the bay of Puerto Rico. There are also themed nights available throughout the week showcasing a delicious variety of International cuisine. Guests are also offered a complimentary breakfast every morning. 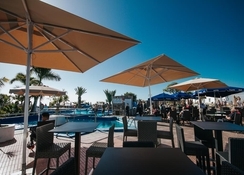 What makes this hotel one of the best hotels in Gran Canaria Puerto Rico is its on-site sports and entertainment facilities, which are available for guests to enjoy throughout their stay. There are three outdoor pools, a tennis court, billiards or pool table, children’s club, playground, and volleyball activities. Besides these, guests can also embark on several activities near the hotel, including sailing, scuba diving, windsurfing and much more. Visa, MasterCard, JCB, Diners Club are accepted . Puerto Azur Hotel, Puerto Rico, Gran Canaria. Stayed at Puerto azul in September I wasn't too sure what to expect after reading some of the reviews. I would definitely go back here. The hotel was clean and the food was good. Always a good variety of food to choose from. Staff were all very friend. Local to shopping centre and the beach. I wasn't a fan of tackling the stairs to the beach but the taxis are really cheap. Me and my fiancé had a lovely time here. We don’t nornally go all inclusive, but the food was good for a 3* hotel. Cocktails weee amazing. Our room was very modern and clean and had everything you would need. Lovely view from our balcony also. Not far from the beach, maybe 20 mins walk but lovely walk along the water front! Good entertainment at night if you have a family. We don’t so we just went up to the center that was 5 minute walk away. 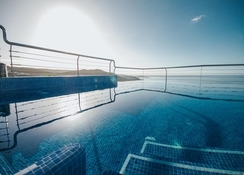 The infinity pool is to die for the views are amazing! Would definetly consider coming back to this hotel if I find myself in grancanaria again.